Cherry Red Records (UK) have scheduled the WARRIOR 1982 album recordings for an official release date September 15, 2017. 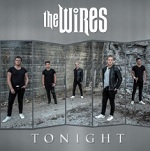 • The Warrior story starts in 1982 with the Boston based band NEW ENGLAND, featuring keyboard player Jimmy Waldo, bassist Gary Shea and drummer Hirsh Gardner, and how their plans to record their fourth album with Todd Rundgren were scuppered when their guitarist, John Fannon, unexpectedly quit the group. • They put the word out that they required a new singer, and as they shared management with KISS, Gene Simmons recommended an unknown Vinnie Cusano, who was then helping KISS with their “Creatures Of The Night” opus. Although KISS liked Vinnie Cusano, it was felt that his lack of height was a hindrance to joining them as a full-time replacement for Ace Frehley! • Vinnie sent New England a tape of his songs, and an audition was set-up. New England liked what they heard on Vinnie’s cassette so much that they decided to learn the whole set of songs in preparation for Cusano’s audition. The four hit it off, but it was obvious that this was a new band, soon to be christened Warrior, and not just a seamless continuation of New England. It was also agreed that the four would relocate from Massachusetts to Los Angeles, and began recording the songs that had appeared on Vinnie’s demo tape. • Fergie Frederikson was brought in to allow Vinnie to concentrate more on guitar. 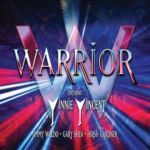 Despite making some very good music, Warrior’s career came to an abrupt end before it had even started when Vinnie was offered the opportunity to join KISS full-time, and become Vinnie Vincent, before eventually forming Vinnie Vincent’s Invasion. • Hirsh Gardner returned to Boston to produce, whereas Jimmy Waldo and Gary Shea would stay in Los Angeles, forming Alcatrazz with former Rainbow and MSG vocalist Graham Bonnet and a relatively unknown 20 year old guitarist from Sweden called Yngwie Malmsteen. 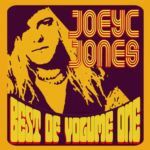 • What we have here is a “what might have been” mini-album of previously unheard, original, classic hard rock by four respected musicians at the top of their game. As well as the original six studio tracks, we’ve been lucky enough to include five instrumental versions, plus a very rare rehearsal tape featuring the aforementioned Fergie Frederikson. Malcolm Dome’s informative and detailed liner notes help tell the story, with the input of band members Jimmy Waldo and Gary Shea. Singer Fergie Frederikson (in Cherry Red Records description by mistake misspelled as "Fergie Henrikson") is best known as the former lead singer of AOR bands Trillion, LeRoux and Toto's "Isolation" album. After leaving Trillion, Frederiksen started focusing mainly on session work; primarily movie soundtracks. In 1979, he signed with Casablanca Records, where he performed under the alias of David London. As David London he sang two tracks ("Samantha" and "Sound Of The City") on The Village People soundtrack "Can't Stop The Music" (Casablanca Records 1980). In 1981 Casablanca Records released David London's self titled solo album. 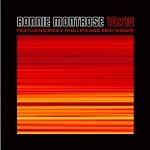 (the 1987 song with the title that he and Gene wrote for "Crazy Nights"). Jaime St. James: [Long pause] Boy, I barely remember that actually [laughs]. I’ve done so much work with KEEL… I remember the first time Gene [Simmons] threw me into the studio and said “Do something [laughs]!” There were other times where I had more of a say. I hate to say it because Ron is a good friend of mine but I can’t recall much about that. I had Ron come in and sing on our ‘Nasty Nasty’ record on “Best In The West.” He did an incredible job. I’d like to hear some of those songs again! I did some vocals on their last record [‘Streets Of Rock ‘N’ Roll’] and I never heard that. I need to do that [laughs]! Sleaze Roxx: I’m glad you brought up “Best In The West” because that was the next thing I wanted to ask you about. There’s a lot of cool things happening there. 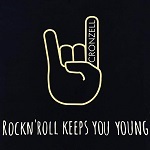 You have Ron Keel, you have Peter Criss of KISS and the album was produced by Gene Simmons of KISS. What was that environment like? Jaime St. James: That’s an interesting story. I saw Peter Criss and his wife at The Rainbow. I knew we were going to bring in some guests. I spoke with him and said “Hey man, we’re making a record and we’re working with Gene. You should really come down.” Peter said “No, no, no. Gene and I haven’t spoken in years.” Hi wife came up to me afterward and gave me his number and she urged me to make him do it. So I set it up. Peter said “I don’t know. Gene and I don’t really get along.” I finally convinced him to come down and the night he came down, we didn’t record a thing that night [laughs]! It was Gene and Peter sitting around the studio telling stories. It was such a cool thing to be have been a part of. Listening to those stories was almost better than having him on the recording and Peter sounds cool on that recording. 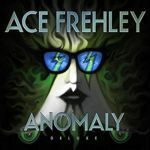 Ace Frehley is keeping his hot streak burning with a newly expanded deluxe edition of his 2009 album "Anomaly", which arrives on vinyl, CD and digital formats September 8. You can listen to our exclusive premiere of the bonus track “Hard for Me” below. Anomaly Deluxe also features a slower version of “Pain in the Neck,” and the previously digital-only track “Return of the Space Bear.” It will also include enhanced album art, a new live poster and extensive liner notes featuring track-by-track commentary from Frehley. You can pre-order the deluxe edition of Anomaly at digital outlets and on 2LP vinyl picture disc and compact disc now. "The Gene Simmons band is a chance for me to play songs that Kiss have never played before, but also hits and I will be playing the first song of a new box set to be released in October. It has 150 never-before-heard songs, which I spent 50 years making, in a compilation of 10 discs for the box set and the opener is called "Are You Ready?". It will not be available in stores, social media or internet, but those who attend our show will hear it. And then you can have the box set". June 28 Gene Simmons called Robert Fleischman to inform him that the song "Piece Of The Rock" - which they wrote together - will be included on the Gene Simmons demo boxset that will be released on Rhino Records ! Gene Simmons called Micki Free on June 21, 2017 to inform him that the song they wrote together; "Legends Never Die" will be included on a box set Gene will release on Rhino Records ! Originally titled "When The Legends Dies", credited to Micki Free and Gene Simmons. 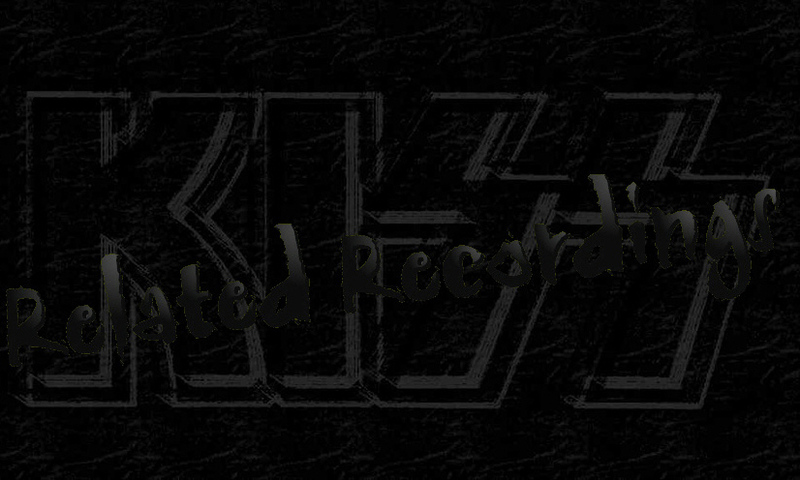 With help of Adam Mitchell, KISS demo'ed the song as "Legends Never Die" during the "Creatures Of The NIght" sessions, but the song never had a vocal track put on it. From then on the song was credited to Gene Simmons, Adam Mitchell and Micki Free. In 1983 Simmons took the KISS track and add WENDY O' WILLIAMS vocals to it. KING KOBRA recorded the song for their "III" album, which was released in 1988.